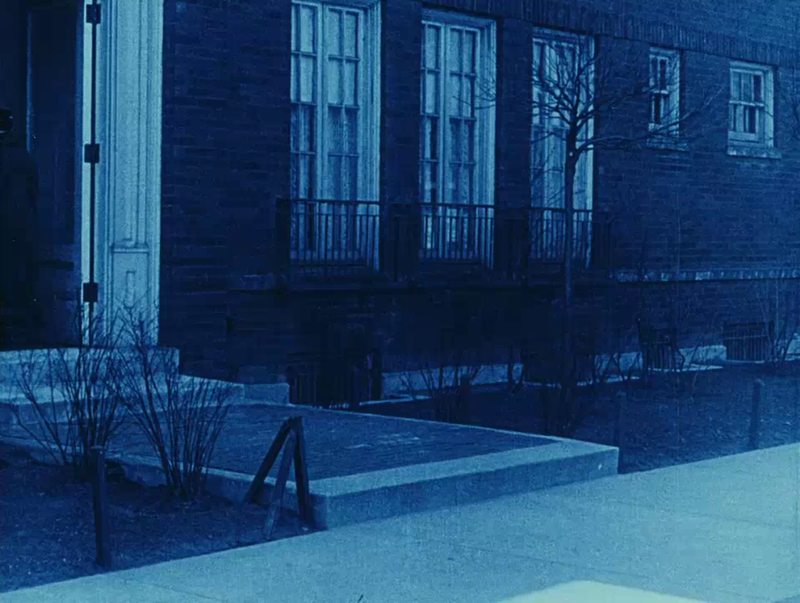 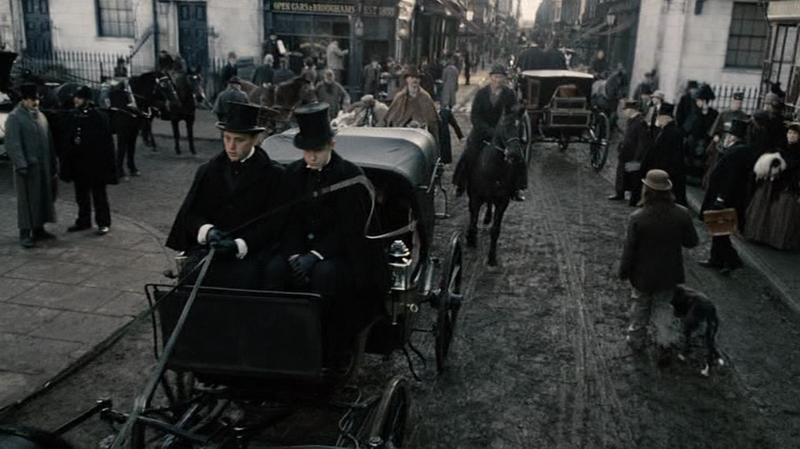 In what is otherwise a carefully constructed and visually impressive film (discussed here), this error is troubling​. 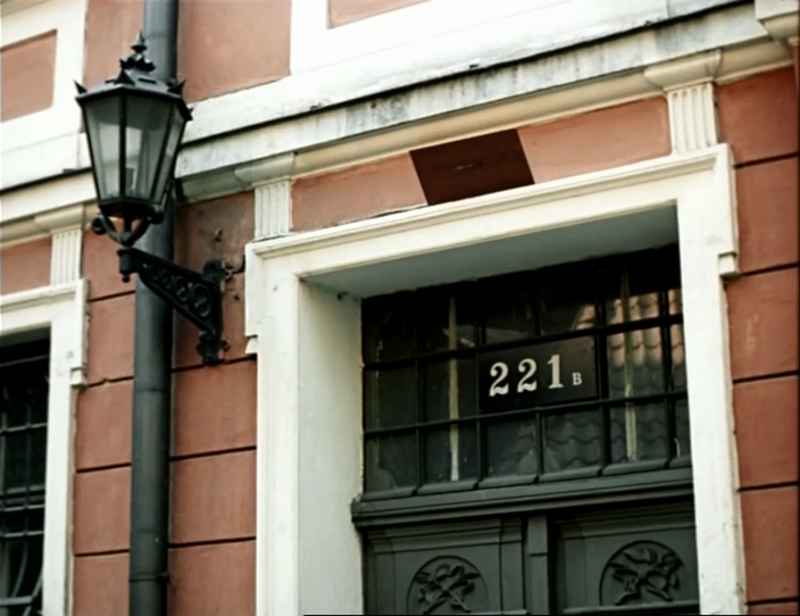 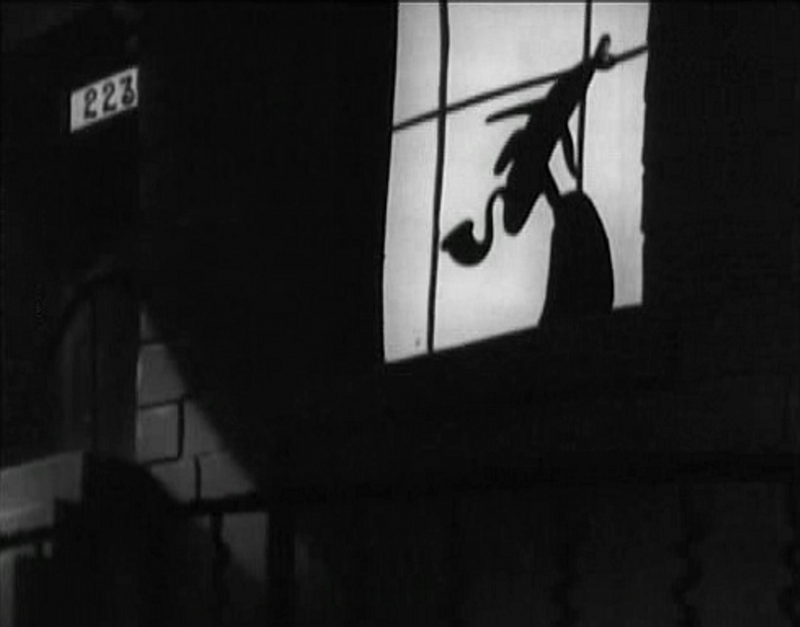 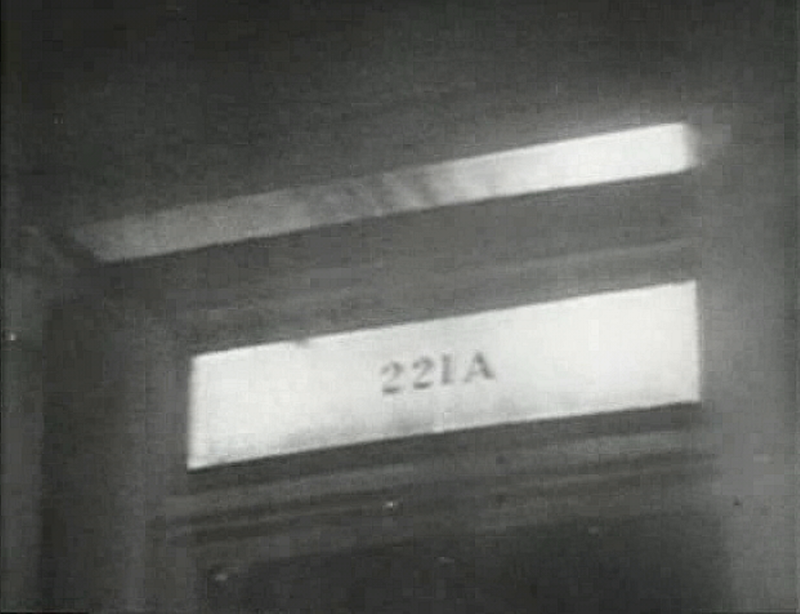 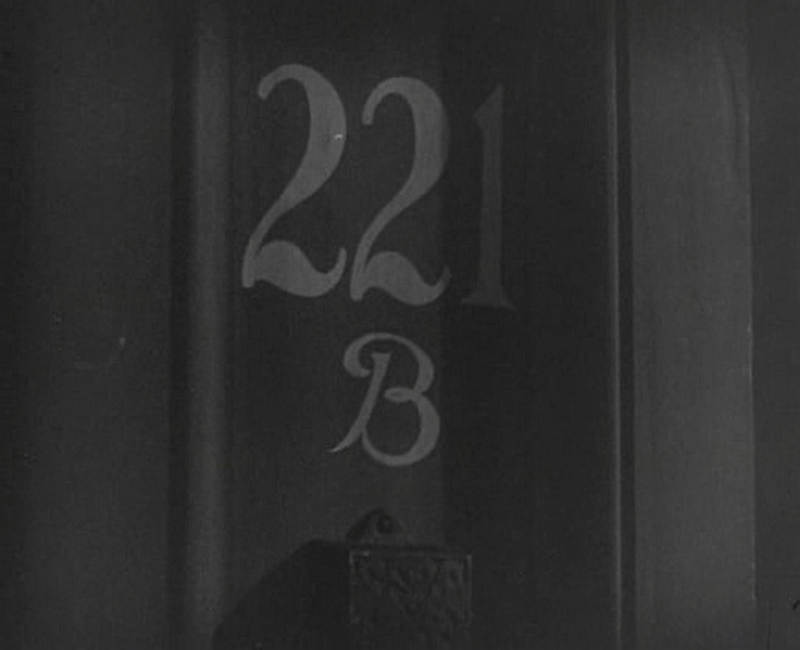 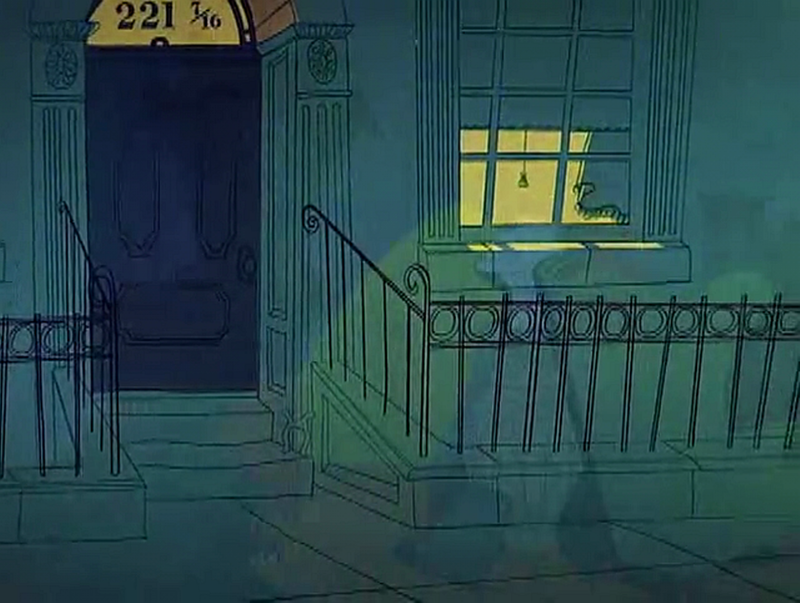 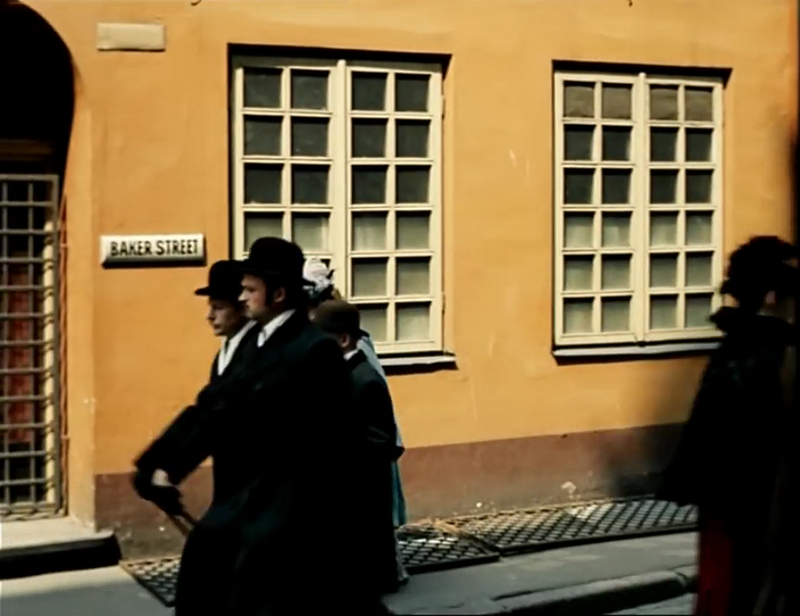 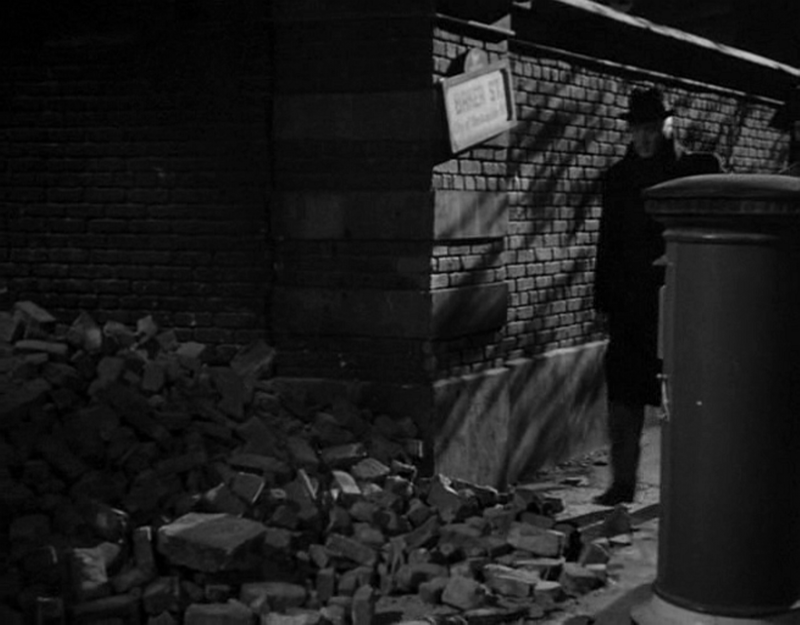 I am slightly less troubled by the wrong address given in a Czech comedy that same year, though the error is greater. 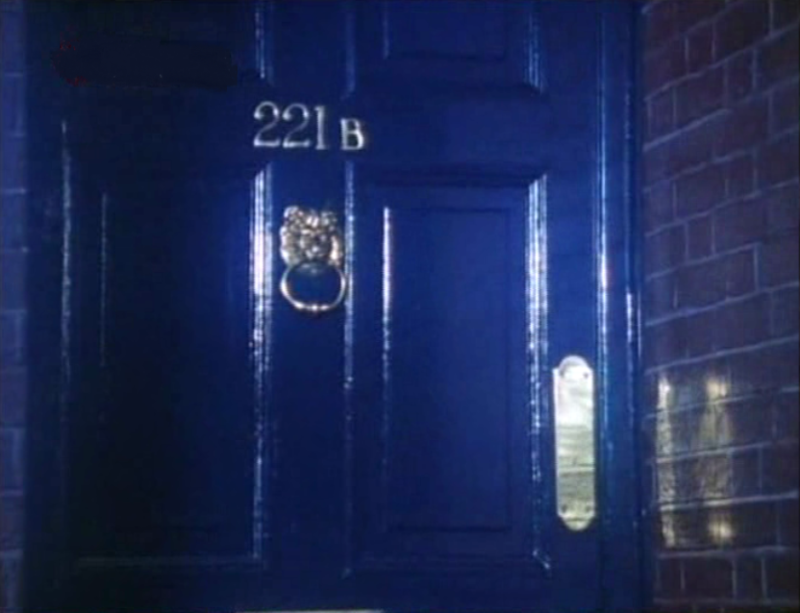 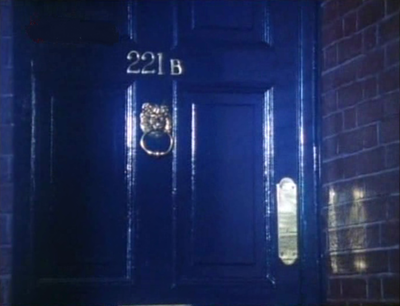 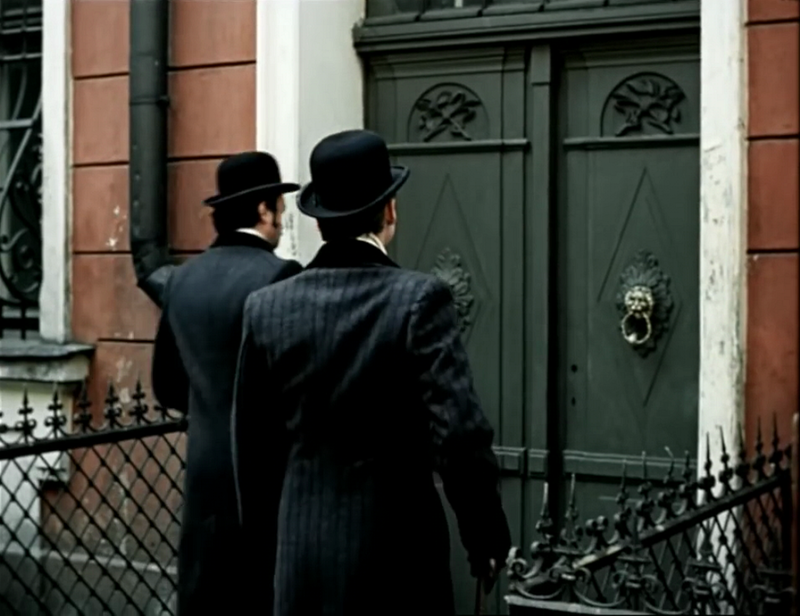 Carl Lamac's Lelicek ve sluzbach Sherlocka Holmese - which also exists as Le Roi bis, a French version that I haven't seen - doesn't show the front door of the house, but shows in close-up a telegram received by Holmes. 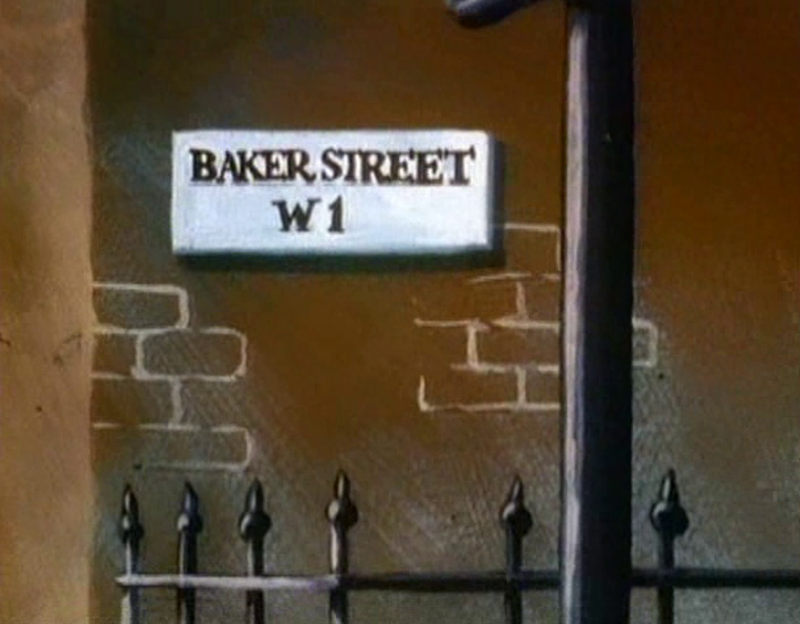 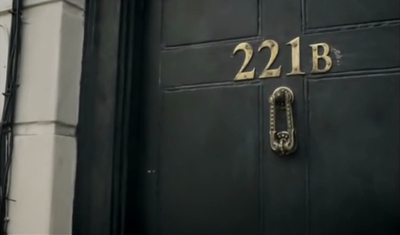 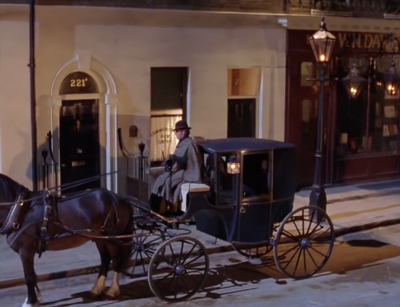 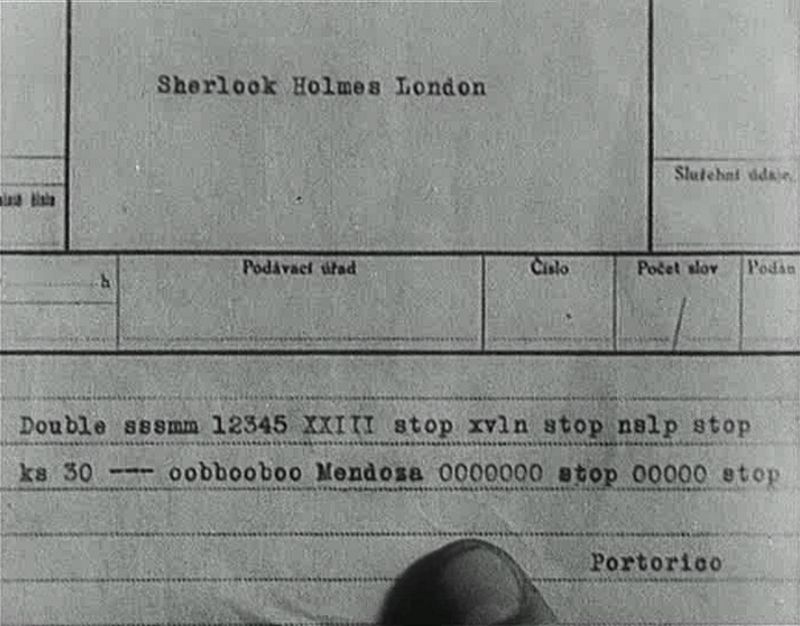 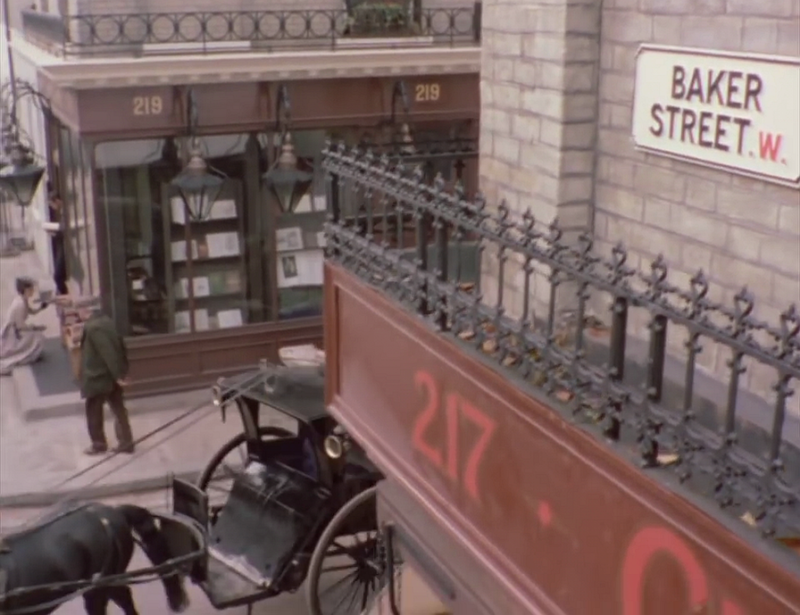 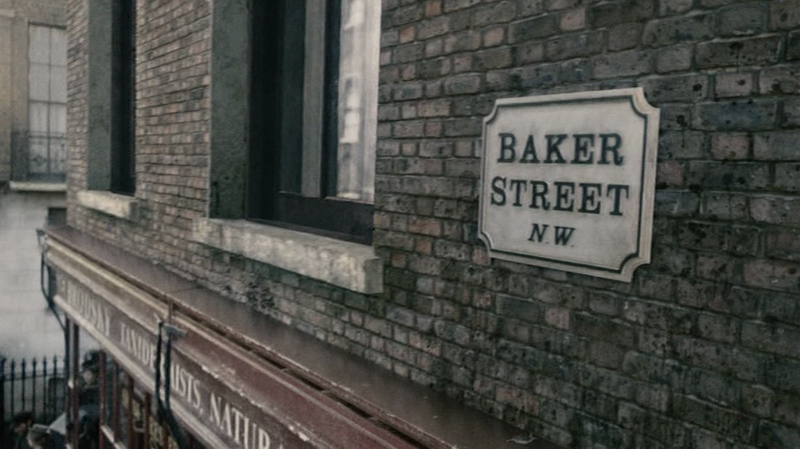 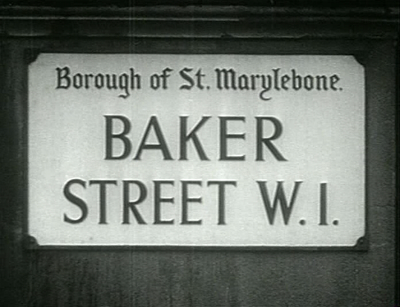 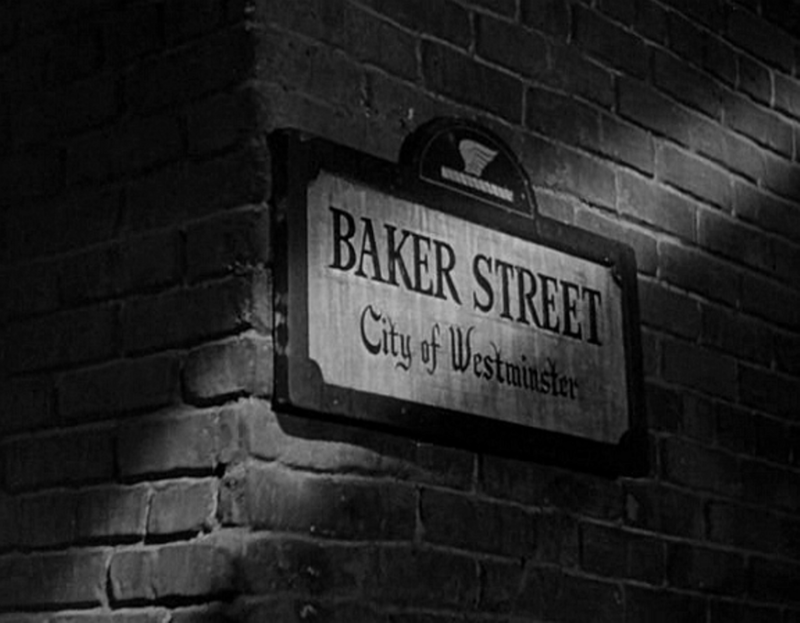 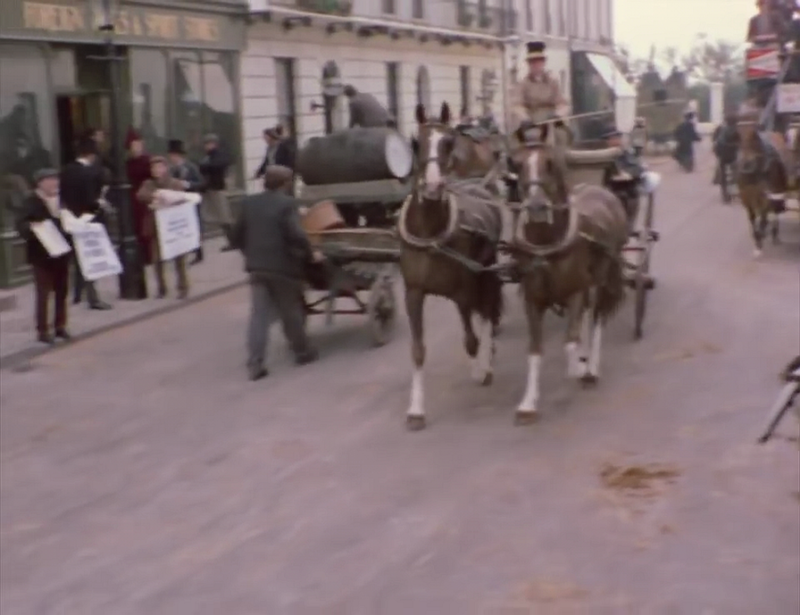 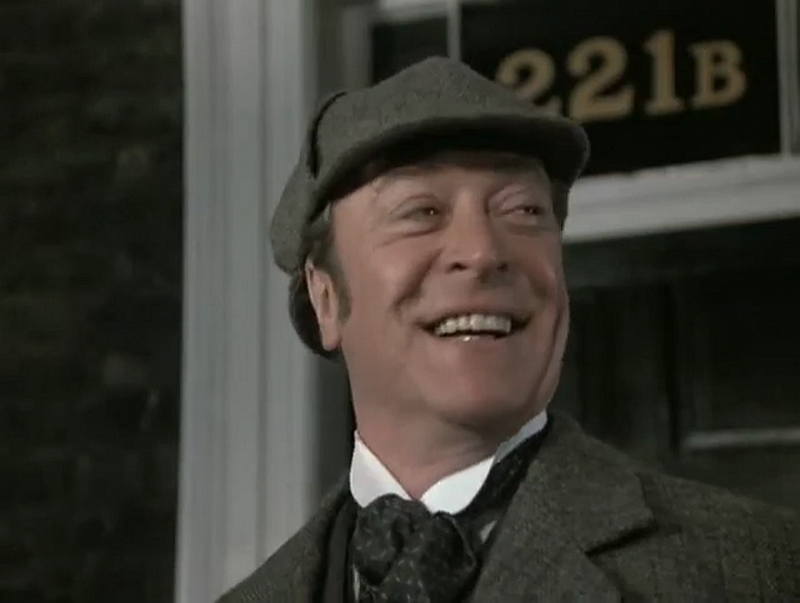 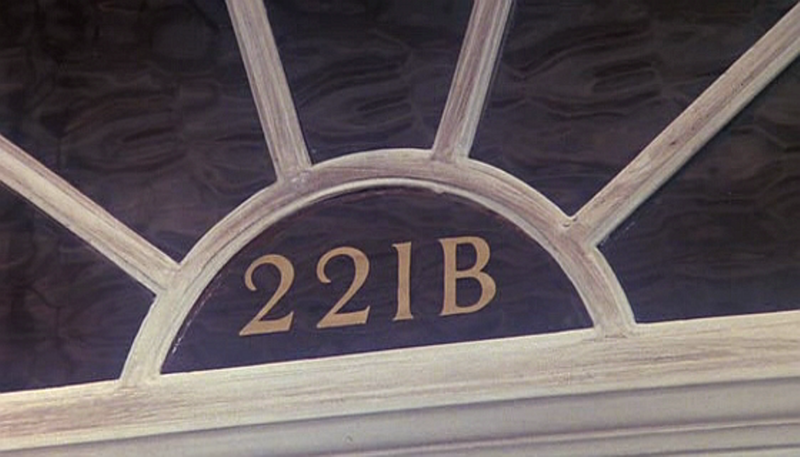 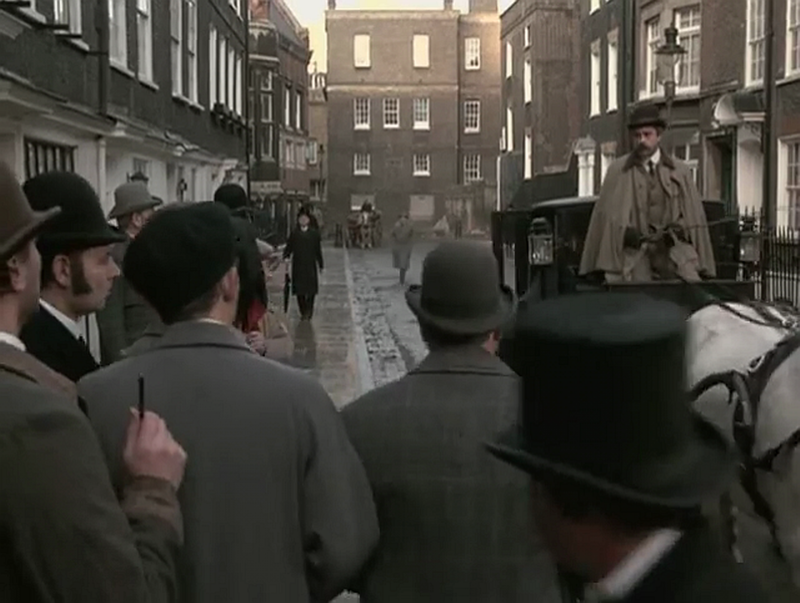 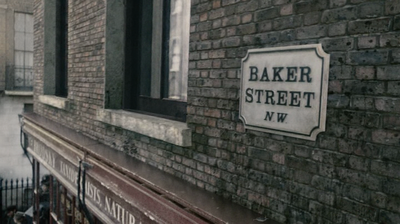 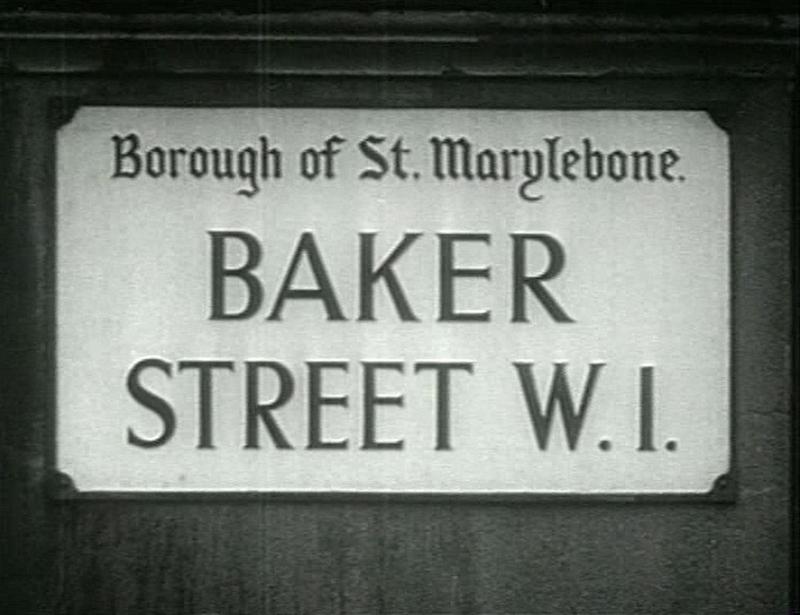 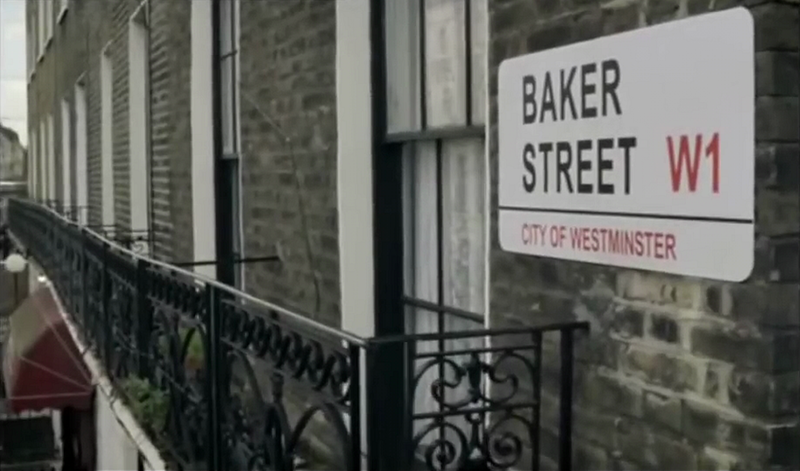 I would be interested to see if, in Le Roi bis​, the French telegram we see also relocates Holmes to number 7 Baker Street. 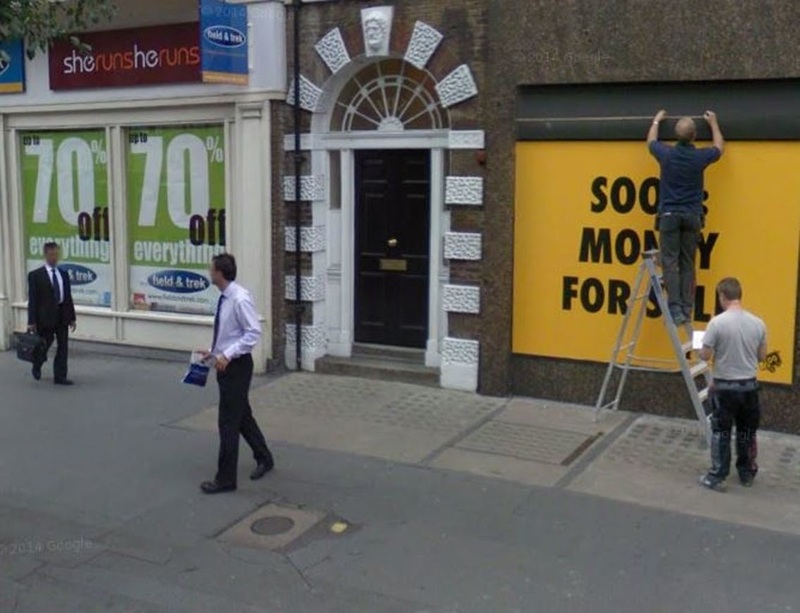 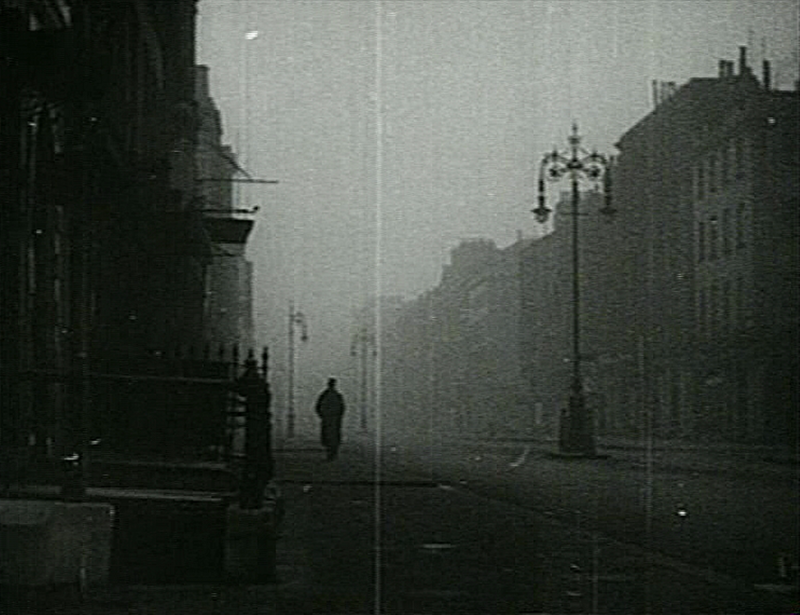 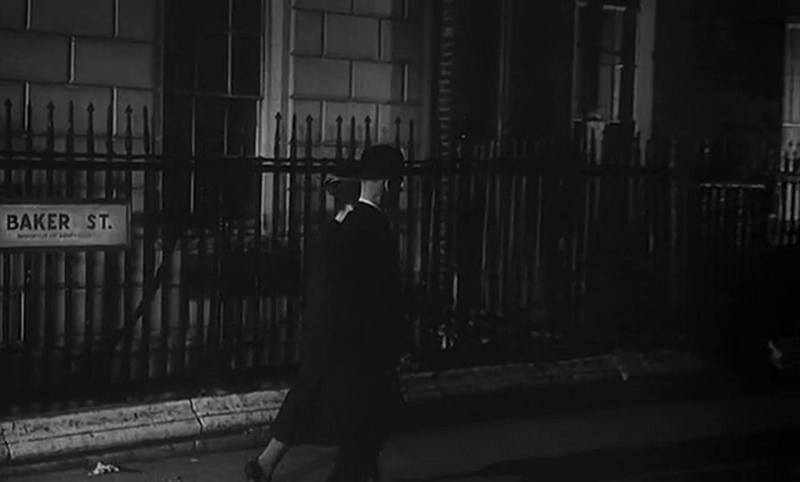 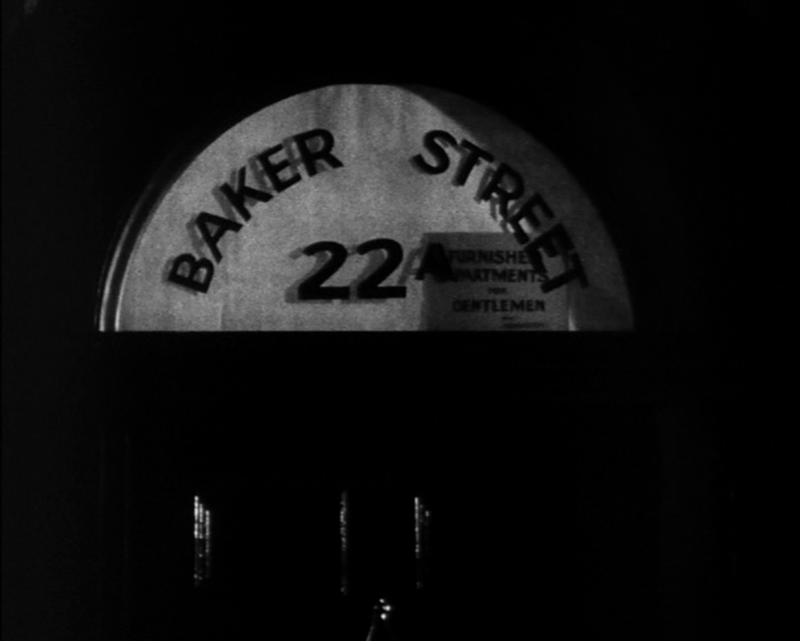 ​I have lightened the image so that the sign is more legible, in the process doing an injustice to the cinematographer, Otto Heller - who would in later life give allure to a more real London in films like The Ladykillers, Peeping Tom, Victim, The Ipcress File and Alfie. 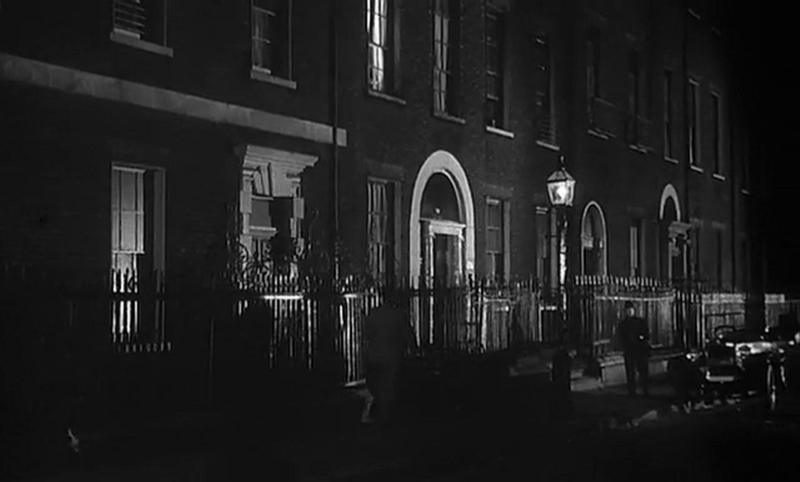 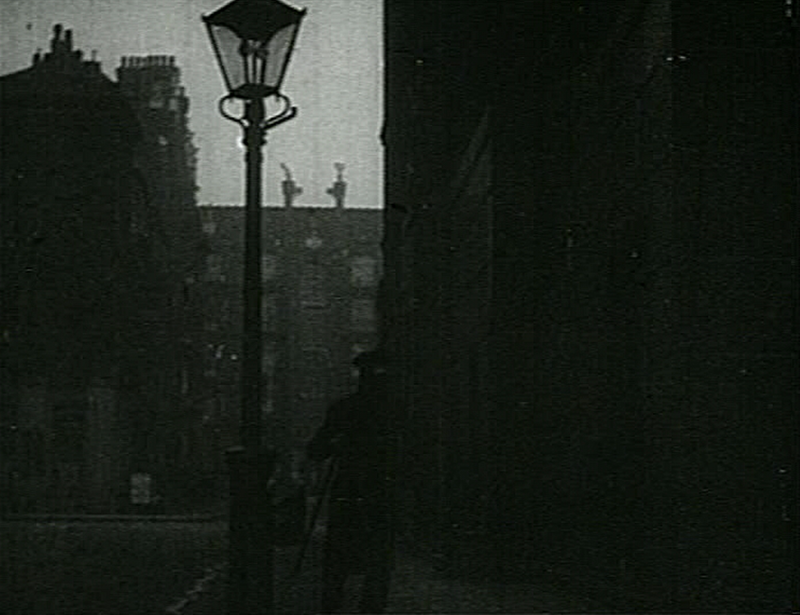 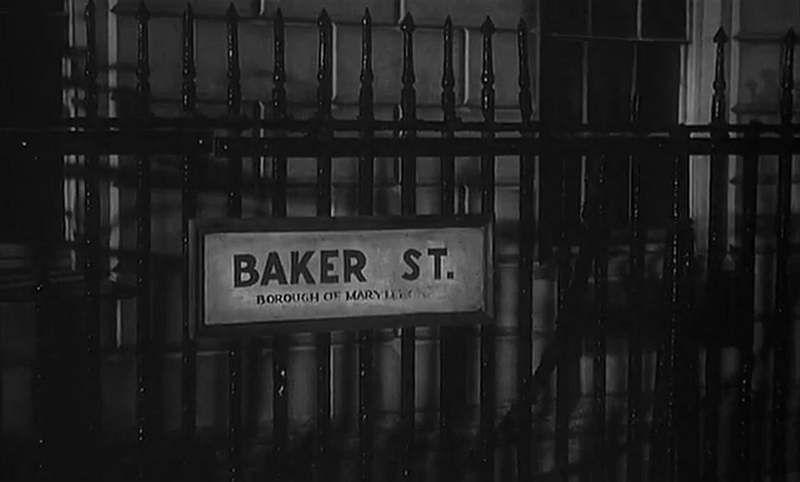 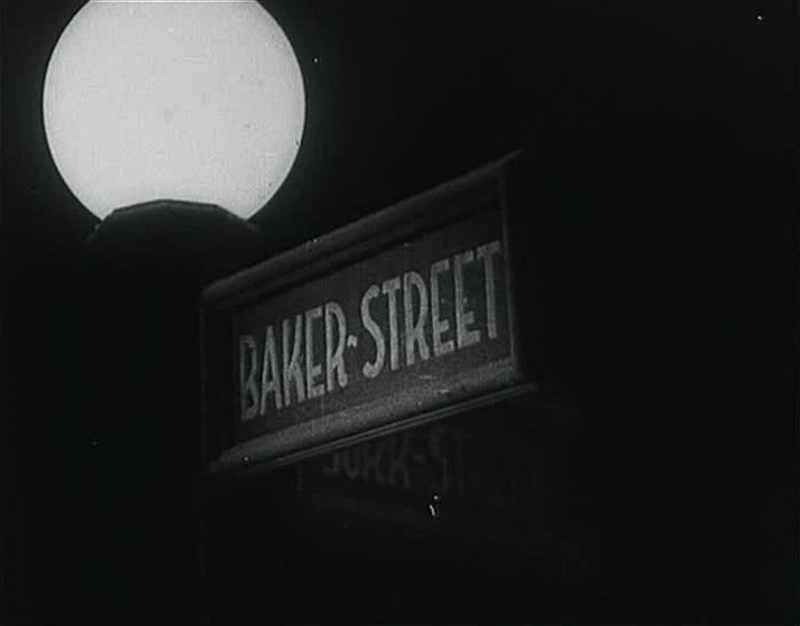 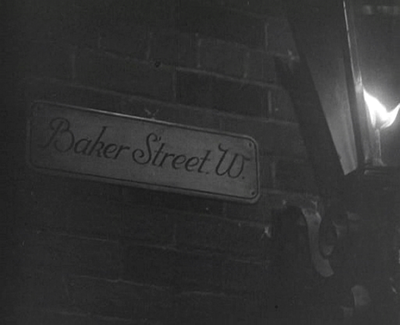 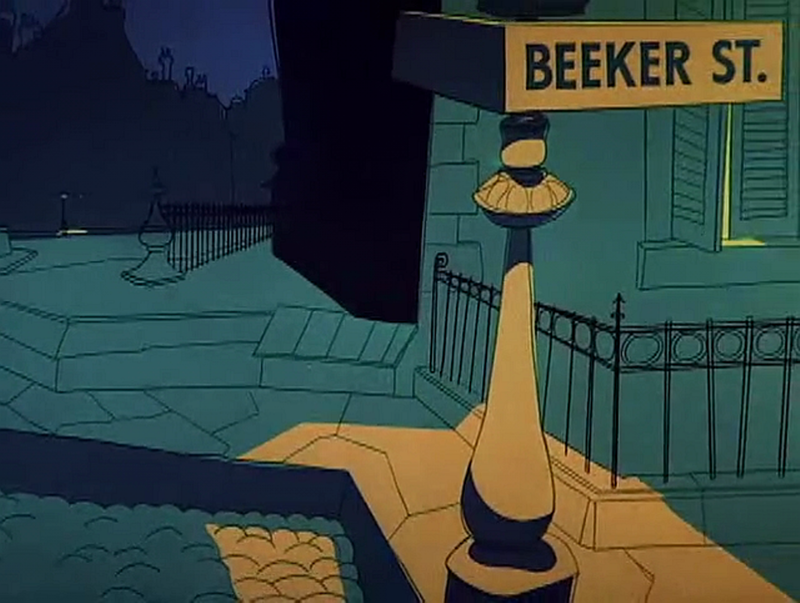 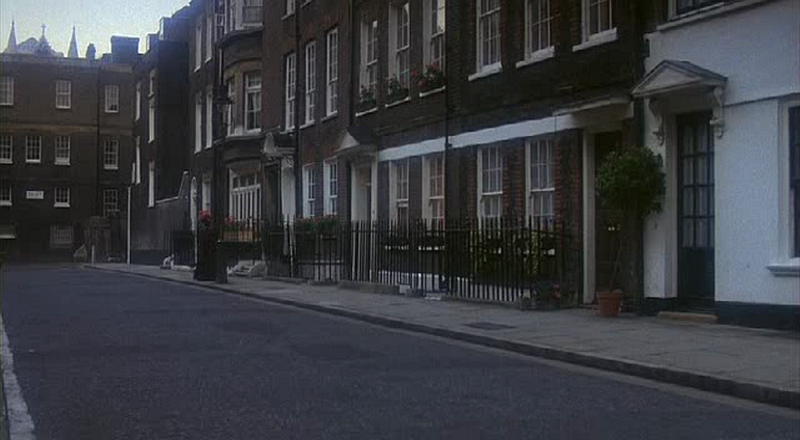 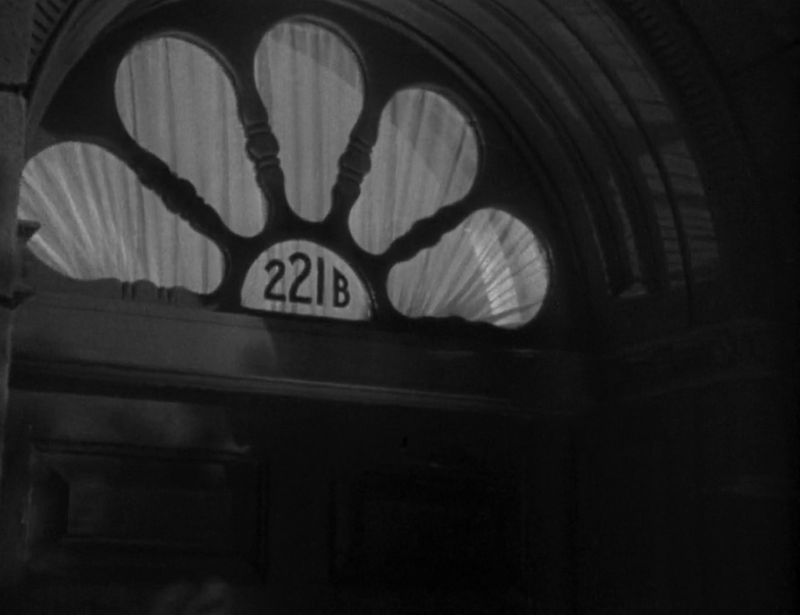 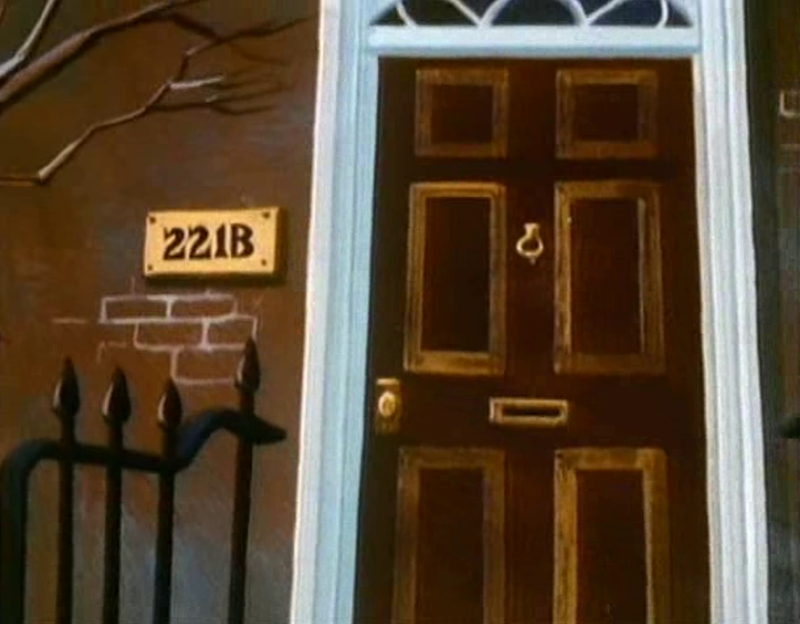 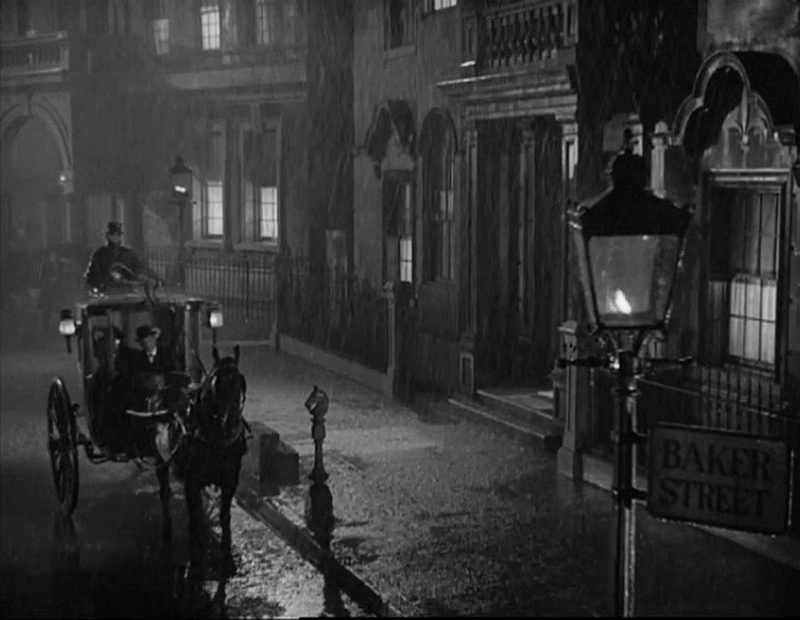 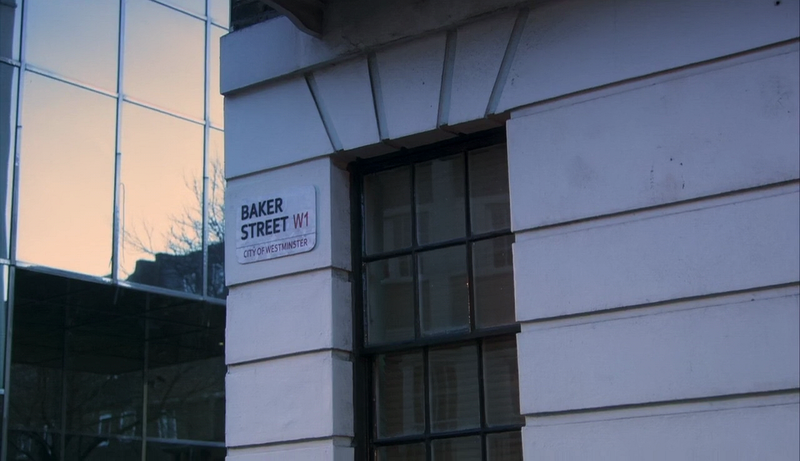 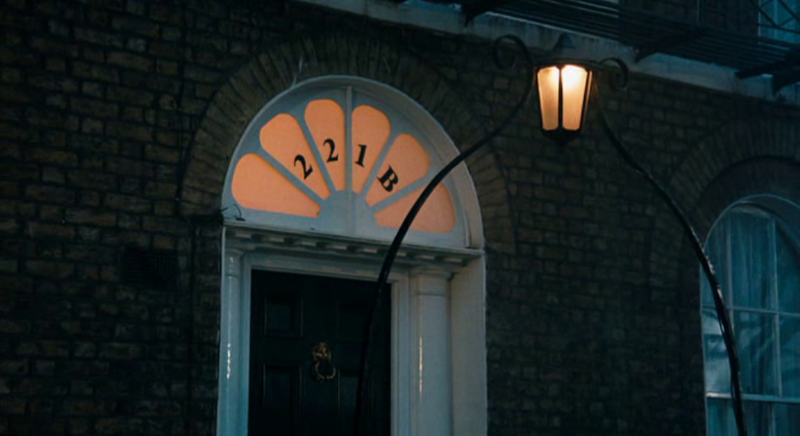 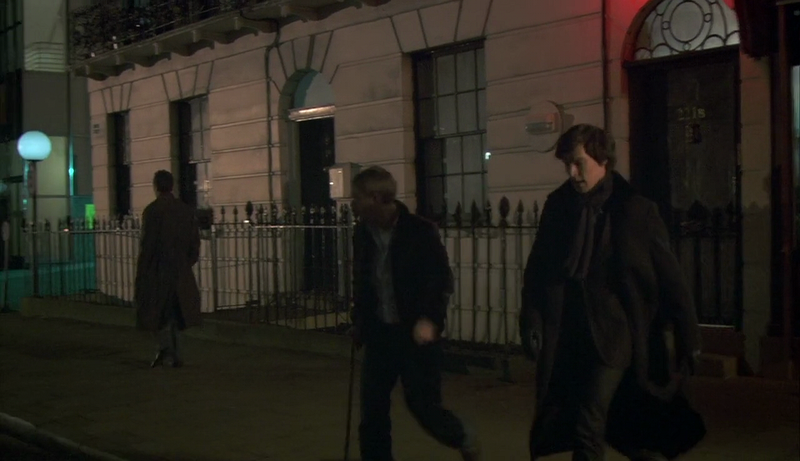 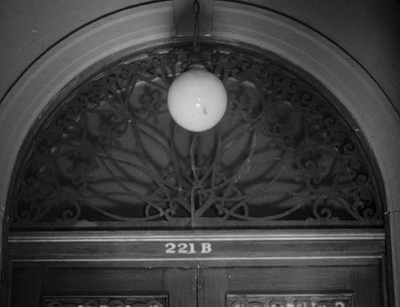 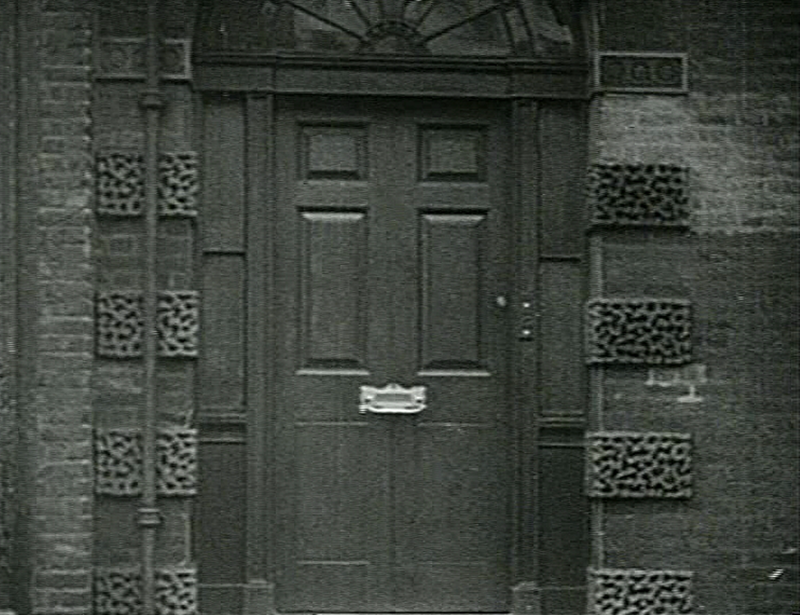 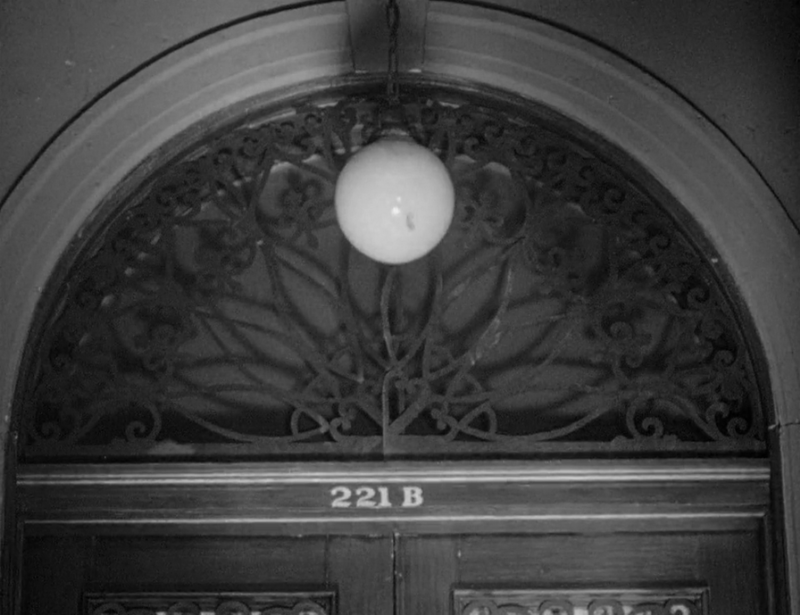 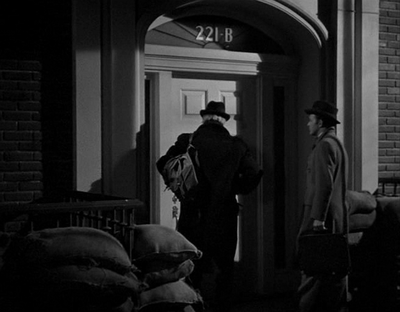 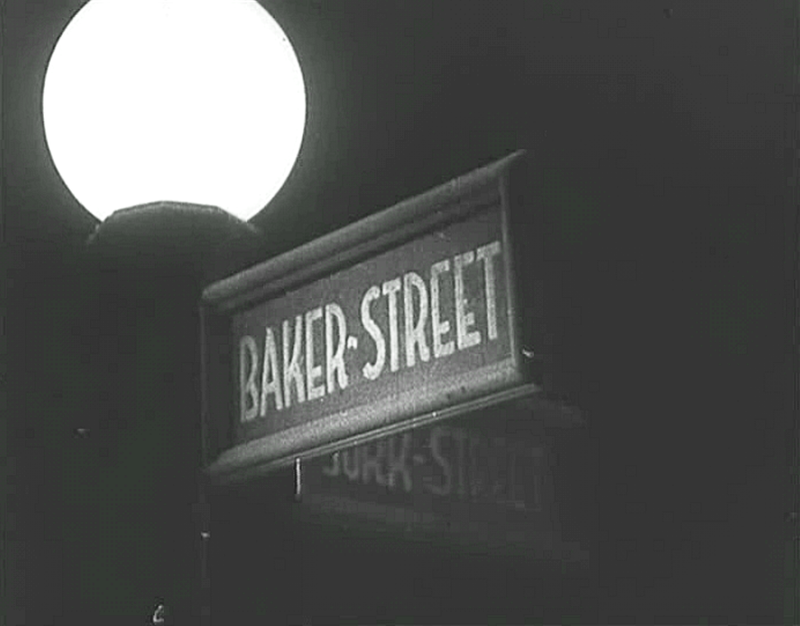 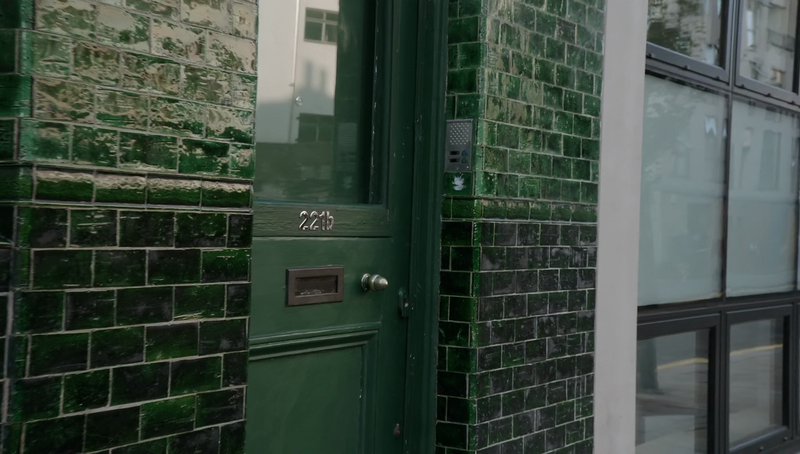 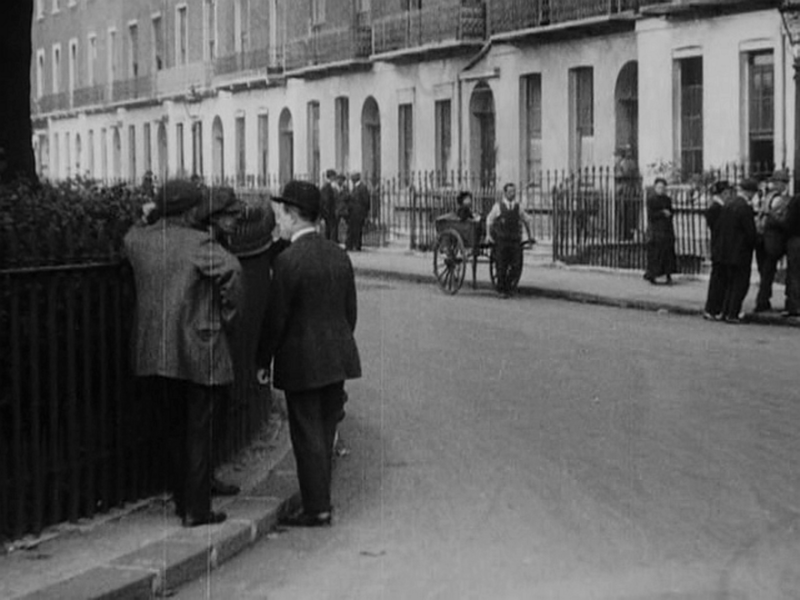 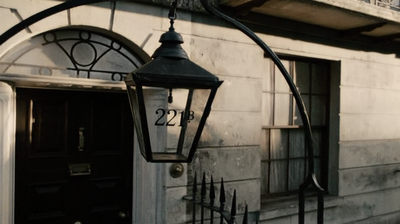 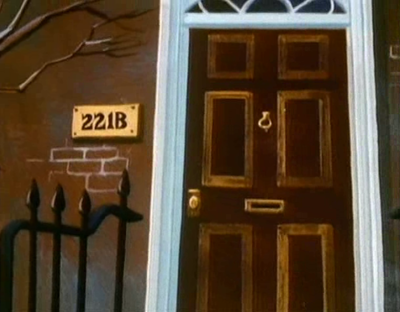 This is the entrance to 105 Baker Street, the home of Sherlock Holmes in the 1931 film The Speckled Band​.